Hidden in Paris. We want to make women brave and successful. Maybe you have noticed, but very often our bravest detectives actually are women. That would be the case for today as well. Criminals are everywhere. Some investigator has to be very brave and smart to discover the worst guys ever. But, the satisfaction is going to be great. And even if a reward comes, than that would be perfect. Today we are sending you in France. That beautiful romantic country. But, unfortunately the subject is not going to be how beautiful Paris is. Even the best cities in the world have their dark side. So is the case with the city of light. French detective Chloe is in front of a mission to discover the emigrated criminal from the American prison that is supposedly hidden in Paris. She gets the information from her American colleagues. The investigation begins. Chloe must be very careful in the estimation of all the suspicious places where the criminal guy might be. Besides that, he must answer some posed questions that can help her find out more about the desperado. 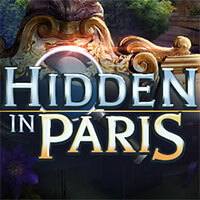 Hidden in Paris is a free online hidden clues game on Hidden4Fun.